On Tuesday, March 3rd at 7pm, please join me in welcoming our always entertaining and ever informative friend Jane Ferrari, traveling winemaker of Yalumba, to l’Alliance Française for a tasting of Yalumba’s wines. The ever popular Ms. Ferrari, who is a native of Barossa, will talk about where the wines come from and how they are made as well as the history and traditions of both Yalumba and the Barossa Valley. Jane Ferrari is a trained winemaker (educated at Australia’s esteemed Roseworthy College) who gets her hands dirty both in the vineyards and the wineries in Barossa but also travels the world telling the Yalumba story. She is down to earth and very entertaining in a way that must be experienced. Jane first visited Houston in October of 2003 and utterly charmed a group of over 60 wine fans. She has been back almost every year since and has “wowed” us all each time. In addition to information about wine, you may hear about Australian and American culture (or lack thereof), Baseball, Elvis, and other tangentially related topics. Admission to this talk and tasting is a $30.00 (Cash or Check made out to the Houston Area Women’s Center only please), $20.00 of which is a donation to the Houston Area Women’s Center. The class will meet at 7pm on Monday, March 3, 2015. To reserve your spot for this class, please contact Susan Coburn at 713-854-7855 or coburnsusan2@gmail.com. Please note that when you reserve, you are “buying a ticket to an event.” If you are not going to attend the event, you must cancel at least 24 hours in advance or you may be charged. L’Alliance Française is the French cultural center in Houston. Located at 427 Lovett Blvd., l’Alliance is on the southeast corner of Lovett and Whitney (one block south of Westheimer and two blocks east of Montrose). The Seven o’Clock Wine Society offers events and classes featuring speakers from around the world of wine. Most events are held at l’Alliance Française and all start at 7pm. The net proceeds of these events become a donation to the Houston Area Women’s Center. To me the most useful notes are on the wines I can walk into a store and buy right now. These are available wines that go with the kinds of food I’m eating at that time of year. With our current dose of cold weather, I’ve been eating my share of braised meats. Since nothing goes better with braised meat than the Rhone blends, here are several of my favorites selected from the Rhone Range. Being an equal opportunity imbiber, these picks represent France (the Rhone), Spain (the origin of Grenache), Australia (G-S-M anyone? ), and the USA (Paso Robles is the New Rhone Range). Prices range from everyday to the top of the weekend range but all these picks offer a great bang for the buck at their respective price points. And all of these are wines I have drunk (as opposed to just tasted) in the last month. A ripe 14.5% alcohol, 100% Syrah fermented and aged in a mix of concrete and stainless steel tanks at the winery in Gigondas. Red-purple in color with well-formed legs; dry, medium full-bodied with balanced acidity and medium-chewy phenolics. Supple, fresh, juicy, mostly black fruit Cotes du Rhone offering notes of coffee and black pepper and a hint of garrigue. Easy to drink and like. Rich, warming, satisfying. Great everyday red to go with braised meats and other cool weather favorites. BS: 90+. A 13% alcohol blend of 70% Grenache, 27% Syrah, and 3% Carignan fermented and aged in a mix of concrete and stainless steel tanks. 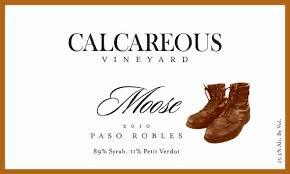 Red-violet in color with well-formed legs; dry, medium-full-bodied with balanced acidity and medium-chewy phenolics. Spicy fresh, lovely elegant, dark red cherry berry (even strawberry) fruit with spice and mineral and just a bit of garrigue. Pure, precise, pretty. YUM. 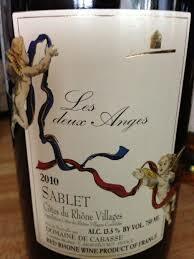 Great wine for cooler weather and the braised and roasted meats that go with it. BS: 90+. A 15% alcohol blend of 40% Grenache, 30% Carignan, and 30% Cabernet Sauvignon aged 5 months in all oak French barrels (no new barrels). Sensory: Purple red in color with well formed legs; dry, full-bodied with softly balanced acidity and medium chewy phenolics. Rich but bright dark red and some black fruit. Supple feel. Rich in the mouth. Juicy and supple but still shows the graphite and a bit of garrigue. Utterly delicious. BS: 92. A 15.4% alcohol blend of 36% Mourvedre, 34% Syrah, and 30% Grenache (all cropped under 2 tons per acre) aged 28 months in all French oak barrels (50% new). Purple-violet in color with well formed legs; dry, full-bodied with freshly balanced acidity and medium-chewy phenolics. Rich and Rhoney. Hits the “Paso sweet spot” as well as anything. Yes there is Violet to go with the juicy, almost sweet, succulent red and black fruit. Has a nice mix of earth and spice and floral. Elegant and perfumed. YUM! A party in the mouth. BS: 93. 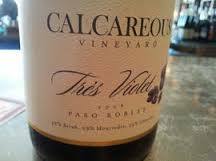 A 15.4% alcohol blend of 89% Syrah and 11% Petite Verdot aged 28 months in all French oak barrels; (55% new). Rich purple in color with well formed legs; dry, full-bodied with fresh enough acidity and chewy phenolics. Supple and delicious. Fine mix of bright but darker, still juicy fruit with dusty earth and supple sweet oak. Rollicking big red with exuberant fruit and a lovely fresh perfume. Yum. BS: 92. PLEASE check the EVENTS PAGE for the annual 2011 CRU CLASSÉ BORDEAUX TASTING on January 21st at the Crystal Ballroom at the Rice. The labels (there are few versions) are sophomoric and gimmicky (and, OK, fun) but the wine is serious and Yalumba, the company behind it, is the real deal. 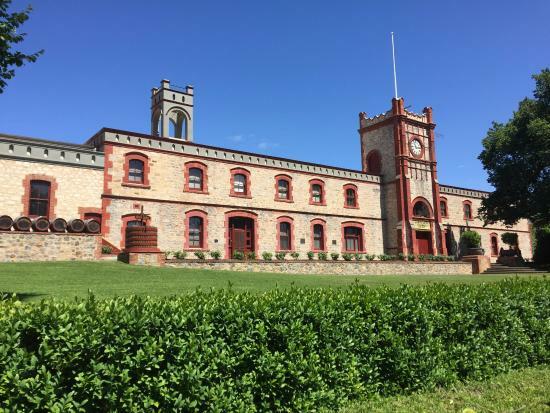 Robert Hill-Smith and team have turned Yalumba into Australia’s most successful family-owned winery. Their flagship red, The Signature is a reference standard for higher-end Cabernet-Shiraz blends. 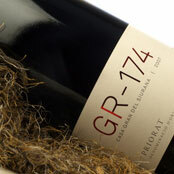 This wine, the Scribbler is the mischievous younger brother of the Signature. Please check the EVENTS PAGE for an information on the upcoming WINE 101 class and the annual CRU CLASSÉ BORDEAUX TASTING featuring the 2011 vintage.